Would you like to get more out of Dynamics 365 search? Sure, you know the basics. Who could argue that ‘Quick Find’ is an invaluable tool for getting to the record(s) you want to work with? And the same holds true for the ability to enter search criteria into a lookup field. By selecting the appropriate ‘Find’ columns in your ‘Quick Find’ view, you enable your users to search for records based on the contents of one or more columns simultaneously. Very handy way to get more out of Dynamic 365 search. But not always handy enough. I’ve got a couple of suggestions on how to get more bang out of your searches when using Quick Find or a lookup. That’s basic use of the search functionality and gives you the ability to search for one piece of data at a time. But what if you want to search for more than one piece at a time? What if you are trying to search for Products on a Quote, for example, and you need to be able to find an occurrence of data that involves more than one piece of data? 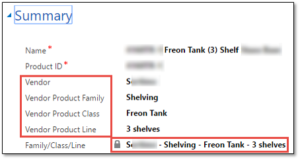 So, if you are fairly familiar with your data and you know that the Shelf length is always located after the word ‘Shelf’ in the Product Name, for instance, then you can get more specific on your searches. (Another vote for being consistent in your naming and categorization conventions). That’s an easy trick and that might help you in a number of situations to pare down the results of a look up or a Quick Find – all you need to do is experiment and see where it makes sense based on your data and ‘Find’ columns. Back to the need to do a look up for a Product on a Quote, many companies find it helpful to categorize their Products into a hierarchy. So, a Product may belong to a ‘Family’ (Autos vs. Trucks), a ‘Class’ (Flatbed vs. Panel Truck) and ‘Line’ (Ford vs. Ram). If you know who the Vendor is for the Product you might want to include that in your search as well. Determine which existing fields it makes sense to search ‘across’. Create a new Text field in Dynamics 365 that is large enough to contain the data in each of the fields from step 1. Add the field to your Product form and make it read-only. Create a background workflow that automatically populates / updates the Text field with the concatenation of those fields when the Product record is created or any one of those concatenated fields is updated. Add the new Text field as a ‘Find’ field in your ‘Quick Find’ view. Note that the ‘Family’ field above is not the OOB D365 ‘Family’ hierarchy but a custom field. Taking it a little further, you could add the ‘Family/Class/Line’ field to a Quick View form and insert that onto the Quote Product form so the user gets a visual reminder of the contents and order of the concatenated field to improve their ability to construct future searches. If nothing else, if you didn’t know you could use multiple wildcards in searches, give that a try. For those of you who may have a need to build a search field as above (it doesn’t have to use only hierarchical fields), see if this can help your users get to the data they need faster. By John Clifton, Application Consultant, Dyn365Pros, Microsoft Dynamics 365 Partner, San Diego, Southern California. Contact us by clicking here.